•Most wineries will have a sheet of tasting notes. Read the tasting notes as you taste and see if you notice any of the aromas or flavors listed in the notes. Take notes about what you thought about the wine. Your opinion is the only one that really matters. If it's not your favorite - be polite about it. This some one's liquid art. If you like it, tell your host and if there are choices to be made for tasting they can help you based on that feedback. Discovering your wine style is simply figuring out what you like the best in a wine. •It is okay to skip any of the wines on the tasting list. Some people just want to taste the whites or the reds. 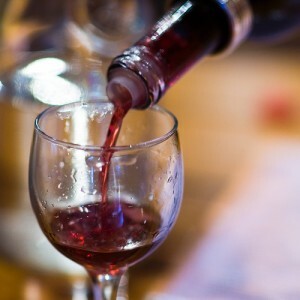 Some may be interested in tasting only certain varietals of wine. •Normally you would not ask for a second taste of one particular wine unless you indicate that you are interested in purchasing the wine. •You do not have to drink all the wine in your glass. Toss the unwanted wine in your glass into the dump bucket provided for this purpose. It's not being rude and perfectly acceptable to do so. In fact, it's responsible not to over do it. Remember, it's hip to spit. You'll notice some wine tasters spit after tasting. Depending on how much you are tasting it may be a necessity and when tasting wine it's not concerned rude. •If water is provided, use it to clear your palate or to rinse your glass. Rinsing the glass is a good idea when the tasting moves from whites to reds or to dessert wines. Some wineries discourage rinsing with water as it can effect the next wine and they'll insist on rinsing it for you with little wine. •Sometimes a neutral food will be provided, such as plain crackers. The purpose of the food is to clear the palate after tasting each particular wine. It's not for a light snack. 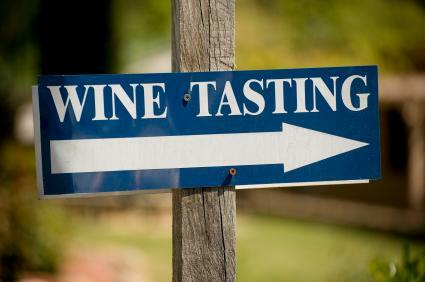 •Some tasting rooms will require that you pay a fee to taste the wine. Some wineries apply this fee to a purchase. Others might include a souvenir glass with the fee. Some tasting rooms have a two tier fee, one for the main line of wines and one for reserve wines. •When a fee is charged, it is usually okay for two people to share one glass and pay only one tasting fee. •If you are visiting a winery with friends or a group, try not to be loud or noisy. It ruins the atmosphere of the tasting room. Wineries can not serve anyone that appears intoxicated in the state of WA. - whether they're driving, or not. •Some people feel guilty if they don’t buy at least one bottle of wine. Never feel you must purchase any wine. Buy the wine if you like it. It is respectful to buy something and usually the prices are more than fair at the winery, so it's a good time to stock up. If the weather is warm do not store your wine in the car. Bring an insulated bag so the wine doesn't get overheated. •If you choose to picnic at the winery and enjoy some wine, make sure the wine is not from another winery. That's a faux pas. If you forgot to bring wine glasses, most tasting rooms will lend you wine glasses for your picnic,especially if you are purchasing wine. •Bringing children to a winery can be tricky. Have a planned activity for them while you spend your time tasting or if possible choose to have your wine time without them. •Avoid wearing personal scents of any kinds. Serious wine tasters find them distracting when differing bouquets and flavors. Chew gum or mints is also a no-no. •Be aware of other people in the tasting room. Be courteous. Do not monopolize the host or winemaker and let others approach the tasting bar as well. This is very helpful and could have used it several years ago in the Napa Valley. Boy did we feel like amateurs - oh wait - we were! It's intimadating at first. But most winery hosts will help you out. At least the good ones. Cheers! Don't feel embarrassed to ask questions of your server! They are happy to tell you about the wines they have for you to taste. If some of what they tell you is unfamiliar terminology, such as "residual sugar" or "malolactic fermentation", don't be afraid to ask what that's all about, either. The same goes for learning the proper pronunciation of the various wines/grapes, such as viognier, alicante bouschet, etc. I encourage a stronger emphasis on getting your tasting and moving away from the counter if the tasting room is busy. There are those who camp out and monopolize the pourer. On a special weekend event, it is important to realize you cannot expect the attention you can get on an "off weekend". We love our Spokane wineries!